Maybe you have heard the phrase, “rock bottom.” It is often said, some folks have to hit rock bottom before they ever can come up again. That was truly the case for Benji Kelley, founding and senior pastor of newhope Church. This is the story of a man who lost everything and almost his very life as a result of intense drug addictions and multiple vehicular accidents one sunny September day. Fortunately, all of this was his ”rock bottom.” As he sat incarcerated in a Sumter County jail cell, he was given a Bible and God started to move in his life! The rest, as they say, is history, as God took a wrecked life and redeemed it for His good and glory! Have you purchased the book and have a resource code? Click the button below to access! When I attended my 10 year High School reunion as a pastor, I unanimously won the award, "Least Likely Career Choice." But I probably wouldn't have won if Benji had been in my class. His journey is amazing, his story will encourage you if you're down, strengthen you for the future, and give you hope that you can do more than you ever thought. Read this book today. Authentic. Honest. Painful. Inspiring. Benji's story coupled with Jesus' story make this book a must read for anyone who thinks knowing Jesus is out of reach! Like a pie in your face, you cannot deny you’ve been hit with something. But the good news is, if you’ll take the time to read and re-read, Benji will help you savor the flavor as you lick through each undeniable truth. If you have ever wanted to read an incredible story of life change, I would recommend this book. 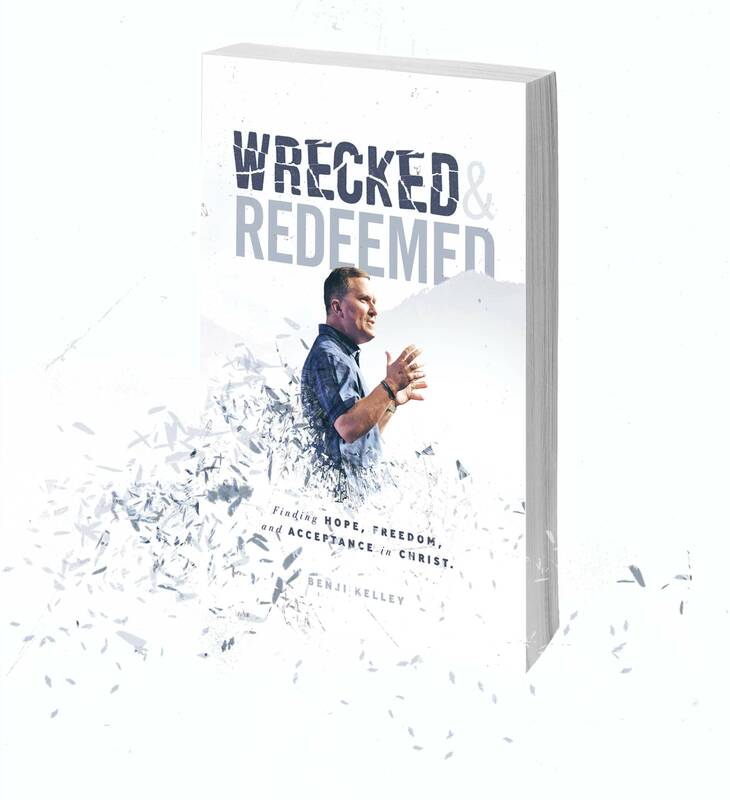 Wrecked and Redeemed is the amazing story of how God took a confused and hurting young man sitting in a 6x9 foot prison cell and changed the direction of his life. I know I was inspired the first time I heard Benji Kelley’s story and I believe you will be as well. Out of a broken life comes this classic story of hope and redemption followed by raising up of a great ministry to be used of God to make multiple broken people whole. This book breathes with authenticity and reminds those who read it that God is still in the healing business. Pastor Benji has a way of making the Word of God come alive to ordinary people. In this book you’ll see why—he honestly, genuinely believes it. He has felt the power of the gospel in his own life, which gives him confidence to apply it to mine and yours. Whether you are a doubter looking for direction or someone in despair looking for hope, you’ll find what you are looking for in the pages of Wrecked and Redeemed. Entrepreneurship is best defined as “growing something out of what seems to be nothing”. This book is not just a story of a pastor or a church, it’s a virtual journal of what happens when God’s version of entrepreneurship is realized through a person whose apparent “nothing” is exactly what God planted to create a truly glorious something. In Wrecked and Redeemed, Benji Kelley leads us through an in-depth study of the gospel of John and how that impacts our faith today. But this is not just a typical Bible Study. Running throughout the pages of this book is a personal and powerful testimony, displaying God’s amazing grace and biblical truth. This story is all about the power of the Gospel to bring prodigals home and grow a prevailing church in the process! Under Benji’s leadership, newhope church has become one of the fastest-growing churches in America, year after year! After reading this book, you’ll understand why. I highly recommend it! Candid. Arresting. Inspiring. Challenging. That’s what you’re about to read. It’s God’s story of how He rescued and transformed Benji. It’s so powerful, I’ve had Benji come to 12Stone Church and share his story personally. Obviously I’m fired up that he’s finally put his story to paper. You’ll rediscover that nobody is beyond God’s reach. You’ll learn anew the depth of God’s grace and truth. You’ll want to get these insights into your own life and get this book into other people’s hands. It’s that good! This book is a must read by my dear friend, Dr. Benji Kelley. As I read this book, two words kept coming to my mind - honesty and transparency. Words that are easy to say (or write) but hard to live out. In this remarkable account of a life broken and rebuilt, you will be deeply touched and reminded of Gods relentless pursuit of us! If you haven't visited newhope church yet, you should. I have been there and this community of faith is the living, breathing embodiment of this amazing story...a story that is still being written on the heart and lives of thousands of people throughout the Carolinas and into Kenya. This book is filled with deep spiritual truths, wrapped in some good southern wisdom! Thank You Benji for your willingness to so bravely give us glimpses into the wreckage of your life and allowing us to be witnesses on the road to redemption. "This book is personal, powerful and purposeful!” Benji Kelly has delivered a gift of hope to any one hurting and help to local church leaders. Benji tells his personal story of transformation in a raw, real and flat out inspiring manner. The biblical insights from the Gospel of John are powerful. And the stories and creative ideas about the newhope ministry are incredibly purposeful. You will be moved by the depth of grace this book carries. There is one qualification for grace—you can’t deserve it. The good news? We all qualify! In this book, Benji Kelly gets real and raw. You’ll walk away with a new appreciation for the amazing grace of God. Hope-filled and hard-hitting – Benji pulls no punches in sharing his story in vivid detail and God’s story in in a way that makes all the difference. You’ll be inspired by the power of one life…and one Church…to spread hope to neighbors and nations. You’ll be equipped to fully experience God’s redemption in your life and be part of a movement transforming lives, churches and communities through the hope and holiness of Jesus Christ. Benji Kelley is the real deal. He is a winsome and living example of the power of the Gospel to change a life dramatically and redeem it for a greater good. 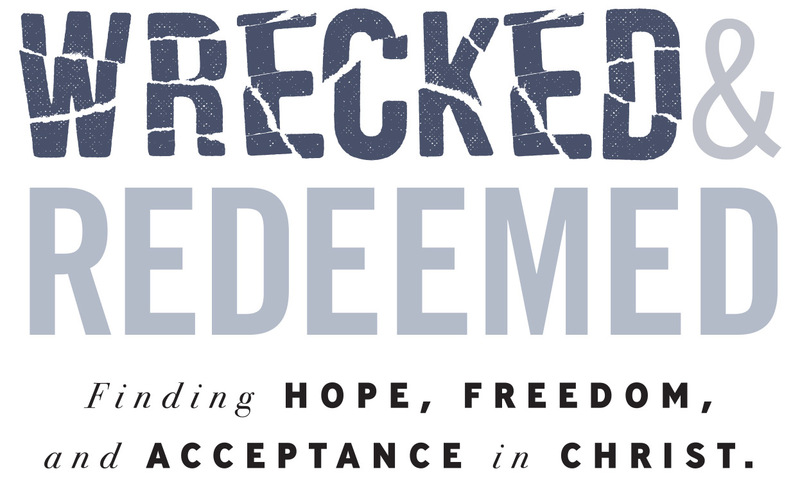 Wreck and Redeemed will inspire and challenge you on how God led a drug addict to jail to megachurch pastor of one of the most dynamic multisite, multi-racial churches in America. Benji tells his riveting story and the story of newhope church through an insightful exposition of the story of Jesus recorded in the Gospel of John. Read it, learn, laugh and weep. Pastor and Founder of MultiSite Solutions Author, "125 Tips for Multisite Churches," "Better Together: Making Church Mergers Work," "Church Locality: New Rules for Church Buildings in a Multisite," "Church Planting," and "Giga-Church World"
"“This changes everything” is more than a phrase for Benji Kelley and newhope church. It is a way of life. When lost people find Jesus, it changes everything! When prodigals find grace and truth and come back home to God, it changes everything. When love and acceptance are offered to everyone, everything changes. The power of God and His Word in a person’s life and in a congregation’s life changes everything! Benji personally knows what it means to be redeemed and put back together again through supernatural providence. Let the stories and the eye-witness account of the work of Jesus Christ within Wrecked and Redeemed bring about the eternal change your life and church needs. Learn to live again. Learn to hope again. Learn to love and be loved again! Wrecked and Redeemed truly does give glory to God for redeeming and restoring all kinds of people like you and me."